Besteyfield Farm is owned and operated by Ben Butterfield. 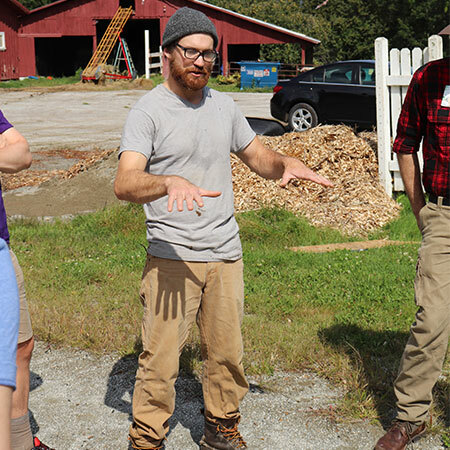 After starting out with just 400 birds as an incubator farm at Burlington’s Intervale Center, Ben’s business has grown exponentially. He is currently leasing land in Hinesburg where his flock has reached 1,800 birds with plans for further expansion in November of 2017. Ben’s chickens are raised on pasture in the warmer months and in hoophouses in the winter with room to roam. Ben received a Local Farm and Producer Investment Program loan from City Market in 2017 in order to fund his expansion and we look forward to having a steady supply of his high quality products in both of our stores as his flock expands!